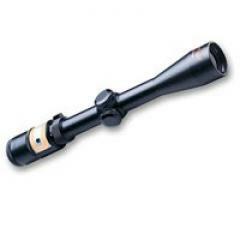 Trijicon TR20R, TR20 AccuPoint 3-9x40 Riflescope FREE SHIPPING! Trijicon AccuPoint Advanced Dual-Illuminated Riflescope Optimum any-light shooting, with high transitional speed and pinpoint accuracy. With advanced fiber-optic/tritium aiming-point illumination, the Trijicon AccuPoint speeds target acquisition and extends available shooting hours. The dual-illumination fiber-optic system automatically adjusts aiming-point brightness to existing light conditions. This provides hunters optimum aiming-point illumination and ideal reticle/target contrast. The result: lightning-fast precision aiming in any light without failure-prone batteries- for maximum shooting success. ©2002-2019 CopsPlus.com: Trijicon TR20R, TR20 AccuPoint 3-9x40 Riflescope FREE SHIPPING!